On Sunday October 10, 2011, MTV will premiere "(Dis)Connected". The movie will explore the experiences of four young people. They have never met in-person, but their lives collide online and are forever changed by their digital interactions. The film supports the network's "A Thin Line" campaign which empowers youth to stand up against digital abuse of all kinds (e.g., bullying, discrimination, etc). The movie is inspired (in part) by the tragic death of Abraham Biggs in 2008. Biggs, a 19-year old college student, live streamed his suicide on the internet, with some users egging him on and some trying to talk him out of it. (Dis)Connected supports an ongoing discussion in public health regarding the question: "Does technology help us or hurt us when it comes to issues such as bullying or suicide?" The answer is not clear. There are examples on each side. One year ago today, I wrote the post "Bullying: Is Technology Helping Us or Hurting Us?" The post was inspired by the dialogue of how technology may have contributed to the suicide of Tyler Clementi but also how it was being used in a positive way to prevent bullying in the aftermath (e.g., the "It Gets Better" project). On her blog "Promoting Hope, Preventing Suicide", Elana Premack Sandler writes about research and advice for preventing teen and adult suicide. Just in the past year, she has extensively explored the issue of technology/social media and its impact on suicide prevention. Some example posts include: Facebook Support Networks (September 21); YouTube Prevents Suicide? (May 4); and Promoting Hope Through Social Media (April 13). 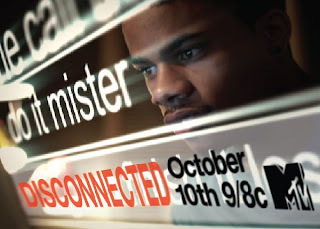 Let's all check out (Dis)Connected on October 10 and let the dialogue continue. If you or someone you know is in crisis, please call the National Suicide Prevention Lifeline at 1-800-273-TALK or visit their website here.